Stephen G. Rodriguez & Partners specializes in defending the rights of the criminally accused in Los Angeles, CA. Are you facing criminal charges in Los Angeles County? Consult with a Los Angeles criminal defense attorney from Stephen G. Rodriguez & Partners as soon as possible. Our team can fight to protect the rights and freedoms of those accused of assault and battery, DUI, domestic violence, or any other criminal offense. We may be able to help you lessen your charges or possibly avoid a conviction, so call our firm today! Over the years, Attorney Rodriguez has earned a positive reputation throughout the local courts of Los Angeles and Southern California. 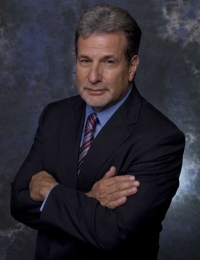 Additionally, he has been a featured speaker and criminal defense expert regarding major legal news for a number of major news networks, including Telemundo, Univision, ABC7, and Anderson Cooper 360.